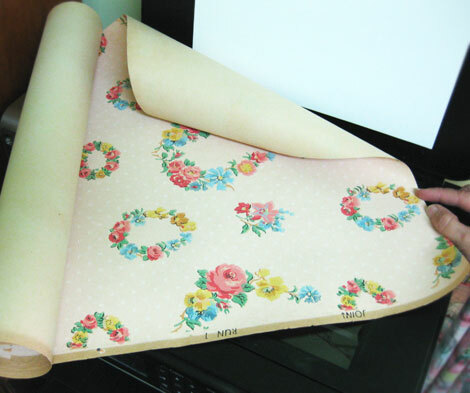 I ordered some vintage 1930s wallpaper from a seller on Etsy and when it arrived the other day, it just begged to be scanned. I then took the scanned images into Photoshop to remove the background color. 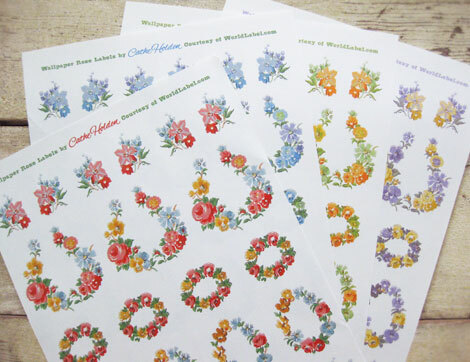 for a total of four downloadable PDF files to print out for labeling, organizing and embellishing your goods. Go to WorldLabel.com’s blog where you access the FREE PDF files and order your full-sheet labels to print them on! You can free-style trim, straight cut or use decorative punches. If you use them, I would love to see pics! This entry was posted in Free digital collage sheets, Free digital downloads, Free PDF files, free vintage art, organizing, Paper Crafts, Printables, scrapbooking, Vintage blank labels, Vintage Ephemera, Wedding, WorldLabel.com and tagged Free Labels, WorldLabel.com. Bookmark the permalink. Beautiful, Cathe! I love vintage wallpaper. Going to use these to label jars in my sewing area. Thank you! Thank you for the wonderful labels! They are just beautiful and can be used in so many ways. I just love how you did the bottle with the ribbon and label. How wonderful! Defiantly going to use these! Thanks for sharing! Thank you for the lovely labels. These labels are just so beautiful, Cathe. Thank you for making them available to us! These are beautiful and useful. I am going to order some label sheets. I just made 2 types of jam and did not have an idea for the labels. These will be perfect, THANKS. 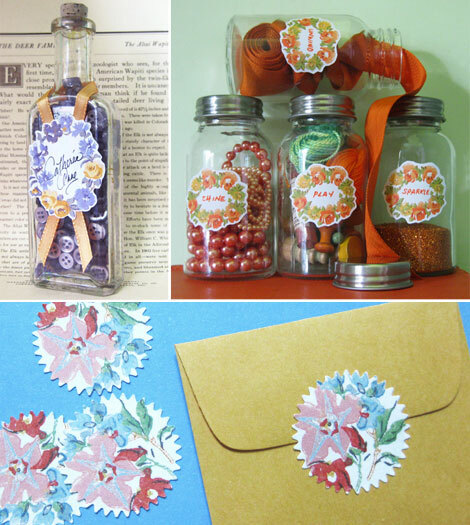 I love the vintage look of the rose labels, thank you so much, I love your stuff! These are so pretty and you are so good to us Cathe. Another wonderful gift I can’t wait to try. Love the idea to use them for jam labels. Beautiful! I just downloaded the red and the orange versions. Thanks so much!! Q: I am working on a recipe collecting project. Would you send me your favorite, tried-and-true recipe? Thanks, Cathe! Those labels are so pretty! Hi Cathe, thank you for posting this, it’s wonderful. I was wondering what fonts you are using there in the ‘Wallpaper Rose Labels’ heading you created which is really pretty, especially the larger font. Thank you. These are so lovely. I have been wanting to make envelope seals and I can’t figure out how labels/seals that aren’t a standard shape are cut away from the backing? For example, your labels have an irregular shape so other than cutting each one out by hand, how can they be pre-cut and left on the 8.5×11 sheets? I don’t know if I have described what I am trying to figure out very well, but I hope you can help me. Thank you. To achieve that, you would need to purchase sheets of blank labels in shapes, such as circles and ovals, and print the labels arranged (using your image editing software) to fit to the template of the labels you chose. WorldLabel.com has lots of choices in rounds and a few ovals. Otherwise, possibly a machine like a Cricut or Silhouette would do what you need, if they cut label stock. If you come up with a better solution, I’d love to know about it. Just found your website and these labels. What a lovely idea! Thank you for sharing your terrific ideas and images. It is very generous of you to share your findings. These are gorgeous Cathe! Wouldn’t mind having lots more of this kind of stuff! Thank you!